Catapult is a comprehensive commerce platform calibrated for Co-op success. Catapult is the leading point of sale system for natural products cooperatives. Because we maintain a value-focused, customer-centric approach, our solutions are ideal to handle the unique nature of food co-op grocers. Cooperatives are member-owned and community-focused, dedicated to improving the quality of life for their owners and their neighbors by providing value and accessibility for all. This presents a store model that is unique–Catapult was built to provide food cooperatives and their members with the tools necessary to not only service their unique needs, but exceed store goals. Catapult’s automated inventory tools, back office management resources, and membership management functions will empower co-op users to ascend to new heights of operational efficiency. Catapult goes beyond omni-channel and it’s more than unified commerce. It is scalable and responsive thanks to Unified Transaction Logic™. This means all critical areas of operation in your enterprise are connected in real time. Your transaction touchpoints all work as one platform, on one platform. It is a comprehensive solution that enables efficient management of operations. Member-owners are the lifeblood of food co-ops, when members thrive, so do stores. 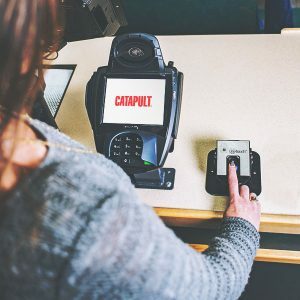 Catapult Membership Server tracks vital membership information in real time right from the point of sale. 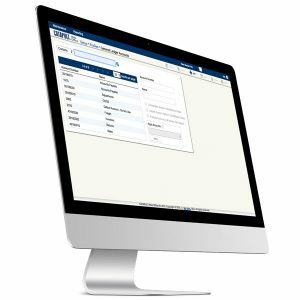 An easy-to-use interface streamlines control over member programs and allows cashiers to access all functions related to member accounts, including new member signups. Equipped with Catapult’s Membership Server functions, associates can automatically adjust pricing, by member, to ensure that they meet all membership obligations. This way, cooperative stores can avoid scenarios where someone who hasn’t paid dues receives membership benefits at the point of sale. Associates can easily track owner patronage to see how often a member has contributed to the cooperative. Cashiers with the proper security allowances can see customer profiles, apply discounts, process refunds, charge membership fees, and edit price levels without ever leaving the point of sale. A transaction made at your checkout lanes will process no differently than an order placed online. All information from all of your stores synchronizes to your headquarters in real time (and vice versa). With Unified Transaction Logic, your discounts, dynamic promotions, rewards programs, and other transactional processes will work the same, across the board. Whether you’re running one location or a multi-store cooperative, Catapult can cover all of it at a lightning-fast pace, no matter the customer volume, time of day, or method of transaction. With hot keys, cashiers are empowered and unnecessary steps are eliminated; they can speed through transactions and member management operations all from the point of sale. Catapult’s full-spectrum inventory management capability can replace your current inventory management software and cut down on complexity and costs. Capital freed up can be reinvested into the lifeblood of your store… your cooperative community. Catapult makes perpetual inventory possible for even single store operations. DemandFill helps stores avoid stock-out scenarios and keeps fresh food orders flowing at optimal pace. Cooperatives face unique challenges that other grocery retailers do not. The careful balancing act required for profitability is made even more in complex in cooperative environments, where property, operations (and decisions), are not owned by a single person. Co-ops are socially conscientious, active participants in their communities, and need accurate intelligence to make the right management decisions. Is your produce department properly stocked? Are there certain time periods when member activity declines? Which food brands are driving sales? How many of your perishables are spoiling/expiring? Who are your top 100 members? Which suppliers provide the bulk of your profits? What are your peak hours for sales? What times of year should you be ordering more of an item? Catapult’s comprehensive back office management tools enable executives to manage loss prevention, conduct employee audits, track performance and productivity, and monitor labor costs. Catapult features a General Ledger plug-in that can quickly translate worksheet and transaction data from your store[s] into credits and debits for your double-entry bookkeeping system. What features should I be looking for in a cooperative POS system? A truly seamless and scalable co-op POS needs to be running in real time across the enterprise. It should do more than simply ring up transactions, it should tie together the majority of store systems (deli, café, checkout) and services to reduce friction. 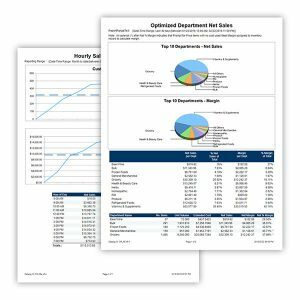 The ideal system for a cooperative should be using the information gathered at the POS to generate reports, monitor inventory, and offer insight to enterprise executives. For more detailed insight into what features you should be looking for in your next POS system, check out our comprehensive guide. Can Armagh service multi-store cooperatives? Catapult is versatile and features enterprise-class technology. No matter the size of your operation, our system and hardware solutions can cater to your needs. Our stores still use a silo commerce system, how can we move to unified commerce? Catapult is flexible. It can be configured to work with any commerce tools you wish to keep, for any length of time. We’ve established a process for grocers to make the transition without interrupting their operations.